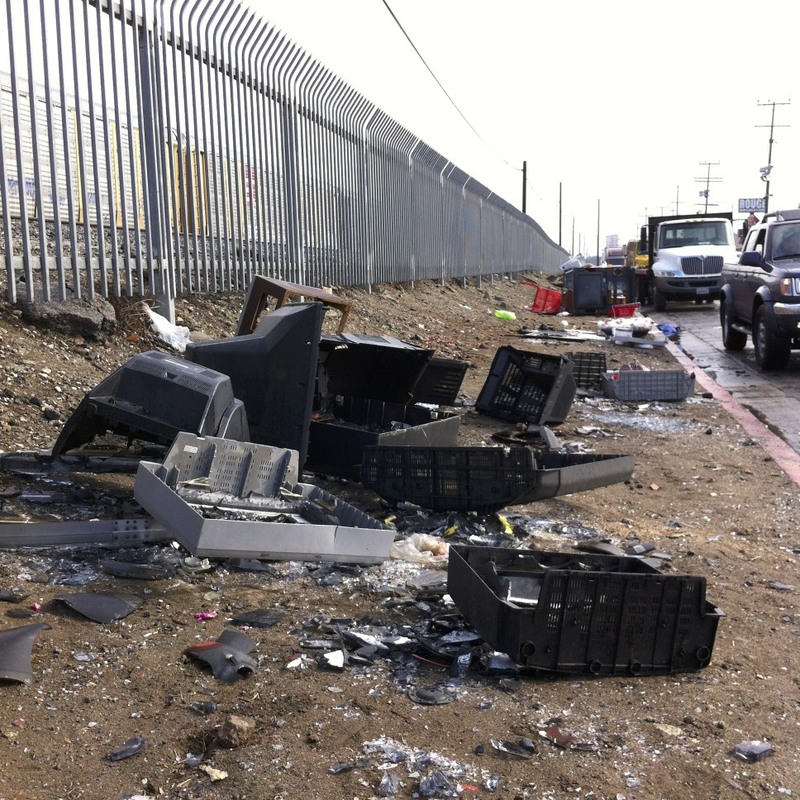 After depositing an old, fat 1994 television at SCV Recycling (14658 Raymer St. Van Nuys, CA 91405), a thriving and well-run recycling center, we drove out onto the wasteland that is Raymer Street between Kester and Van Nuys Boulevard. 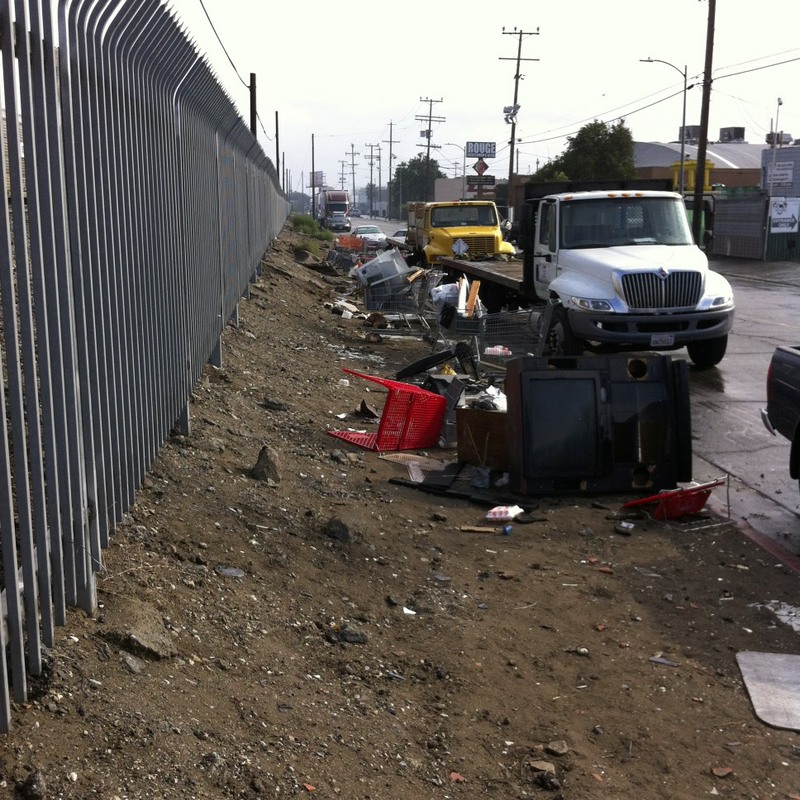 Seemingly enticed by the nearby recycling facility, the median between the road and the railroad has become a vast, out-of-control, 24/7 dumping ground for trash, especially electronics. The sight of so much garbage recalls those National Geographic photos of impoverished India in the 1960s or 70s. 45 years ago poor people in the Third World lived in boxes, and the San Fernando Valley produced cars, well-educated students, affordable housing, advanced electronics and defense weaponry. Now it’s the reverse. 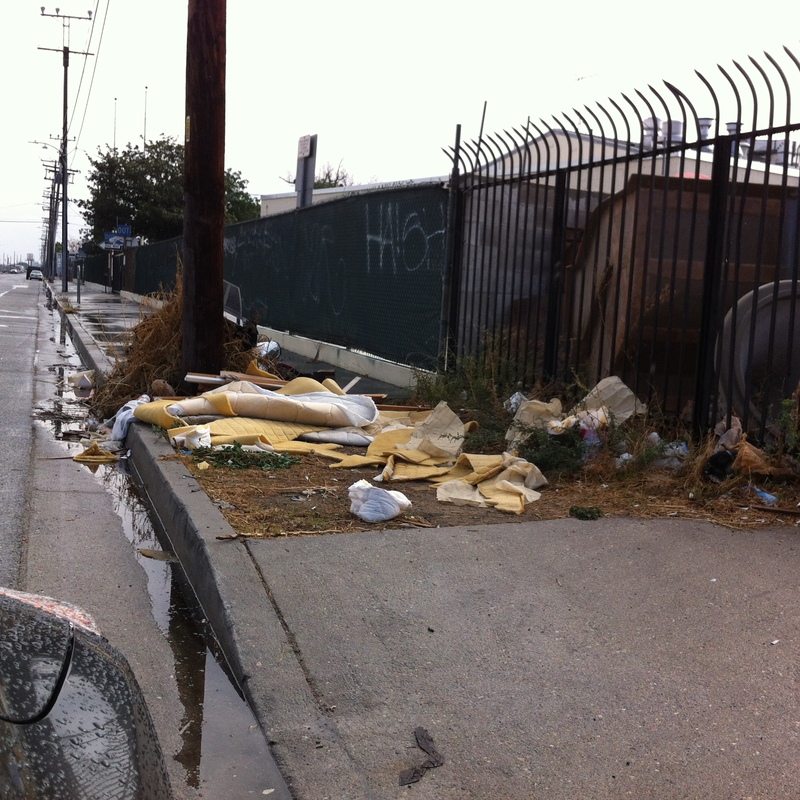 Perhaps La Nueva Councilwoman Nury Martinez will devote some energies and order a clean-up of this blight. People who imagine that Van Nuys can be brightened by hanging some tinsel from trees surely will be sobered by the reality that this is what reality really looks like. Don’t hold your breath on getting any response from Nury Martinez. I’ve written her twice since her election and didn’t even get a computerized response. Already another disengaged city council person. Get elected, do your time, collect your pension. I actually had the opposite experience with her. I emailed her regarding an issue I was having with LADWP overcharging me by 500% and refusing to refund me as autopay had already debited my account. To my surprise she wrote back within 24 hours and put her deputy in charge of it. I got a call from a senior rep at LADWP the next day, promising to do whatever it took to get my issue resolved which she did indeed do. This is only anecdotal evidence, but I wouldn’t write Martinez off quite yet. Also, in the interest of full disclosure: I voted for her opponent. Everyone has different experiences at different times. In the 14 years I’ve lived in Van Nuys, I’ve gotten the city to paint a “keep clear” line on Victory and Columbus in less than two weeks. That’s one of my happier memories. They repaired potholes, cut down overgrown trees, cleared away debris. But then we have those times when it seems nobody cares. And even though I mostly hated Cardenas for his lack of visible care for Van Nuys, his deputies at the time answered my calls and tried to ameliorate things. 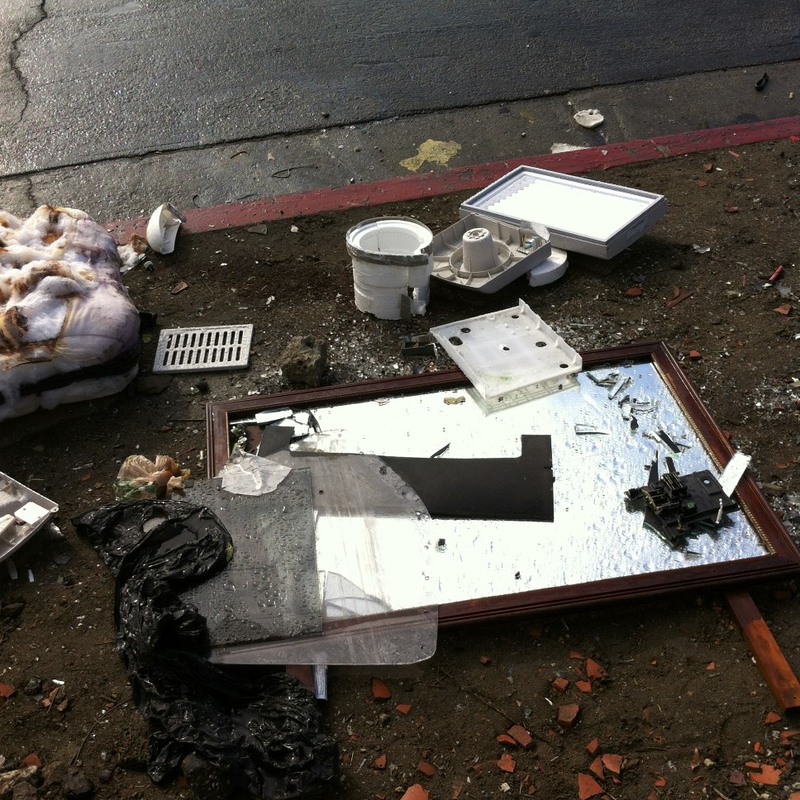 I think a lot of what ails Van Nuys goes back to the broken windows theory of law enforcement, that if you have trashed neighborhoods and neglect with “small illegalities” it follows that larger criminal activity will move in, because criminals will rightly surmise that nobody cares. When we neglect the abandoned house, ignore the homeless, accept the dumped couches and televisions, tagged walls and discarded fast food wrappers on the street, we should not be surprised when speeding cars run over little children, gang members shoot babies, and arson and murder bring us to a state of Hobbesian self-destruction. We have the choice. Be active or be gone. Those sure are an assortment of mangy-looking environments. They’re an embarrassment to LA and southern California, yet have been tolerated by so many people for too long. Why? 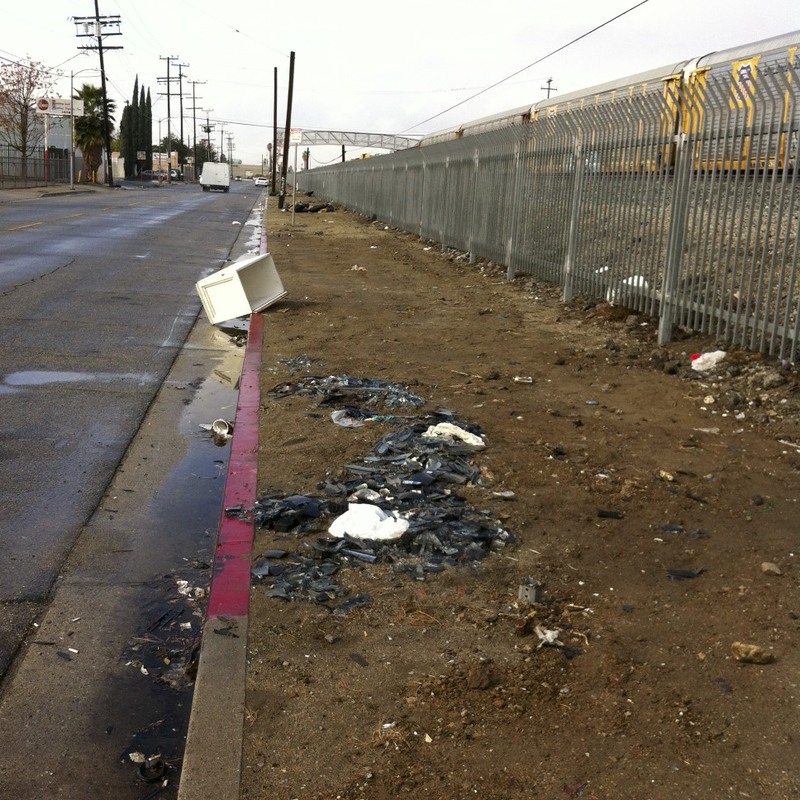 Eric Garcetti is reportedly going to promote an effort to beautify major streets throughout the city of Los Angeles. Unfortunately, that’s just the tip of the iceberg. Start with the major thoroughfares and then move onto the rest. If we’re lucky, perhaps by the year 2060 or the 22nd century, the goal of perceptive urban planners and designers in the LA area will be implemented and reaching a completion point. So why wasn’t such an effort initiated decades ago?! Some will say a lack of money. But I think a lack of interest and attentiveness on the part of many LA residents is also to blame. I especially love what you wrote in the third paragraph. So true!!! This is good work, hopefully this blog does get the attention of our Councilwoman. 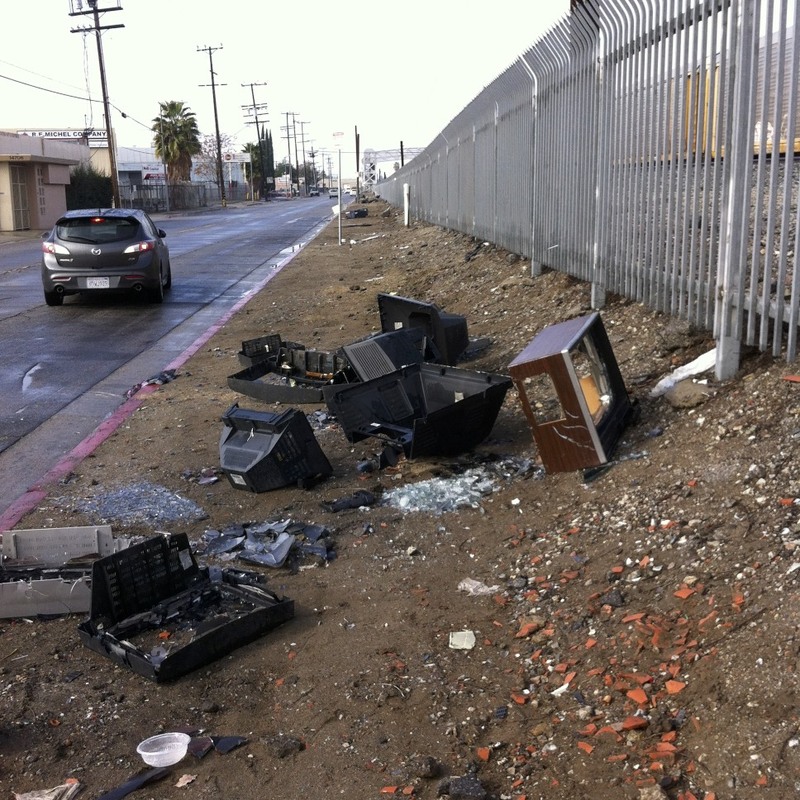 On the subject of old CRT televisions I’ve noticed a plethora of them being discarded on streets throughout the SFV recently and every one of them has had the casing smashed open and the electron gun (back electronic part of tube) yanked out and taken. I wonder if there is some other use for them that is causing them to be removed or if it’s just a higher value for metal recycling. Yes. It looks like those old TVs contain some valuable metals. YouTube is full of videos on scraping CRTs. actually there is a program that we tax payers fund through the purchase of new electronics of any type. Every time we purchase a television, cell phone, printer, etc. 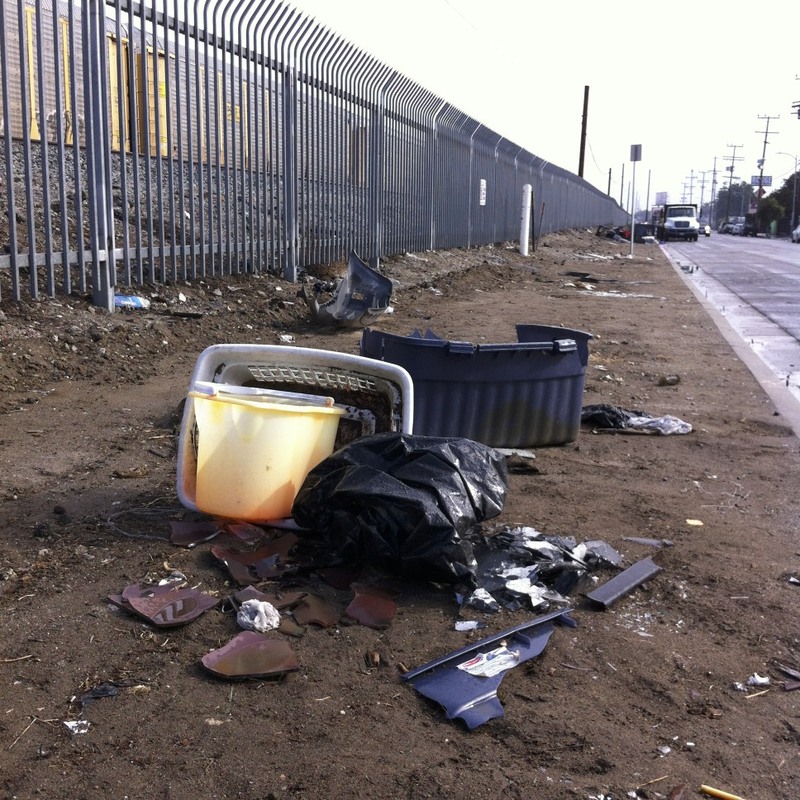 We pay a fee that varies and its supposed to help to get toxic CRT’s of the landfills. The problem is that the program doesn’t help residents or recycling companies to address the issue properly that is why you see all this discarded items on the street. for more information check cal-recycle web site and look for the SB-20- SB-50 bill that talks about this issue. 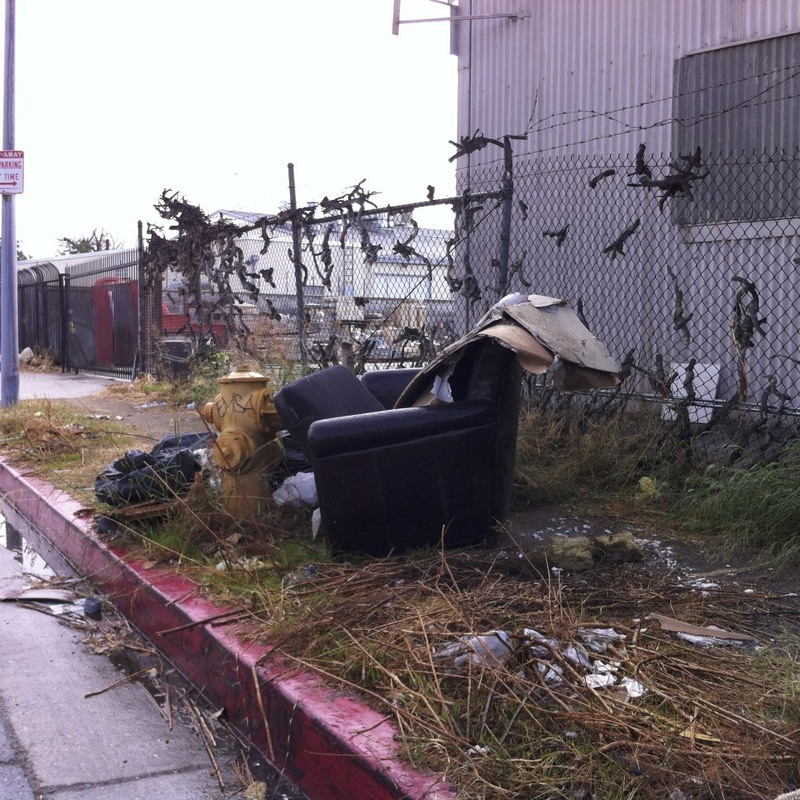 Ultimately it’s up to residents and city to work together and have sanitation to clean up our streets since they have the proper funding to handle this items. I hope you sent this to Nury Martinez, and I hope she does something about this. If nothing else, aren’t there people doing “community service time” that can help clean this up? Can trees be planted it that area? Keep up the good work. Fortunately, we have great people, like Penny Meyer of the VNCC, who upon seeing the trash images of LA Fitness/VN a few weeks ago, called the gym and the mess was cleaned up in days. She reads this blog, and I know some of the other members who sit on VNCC do as well. However, the situation in Van Nuys requires constant vigilance, law enforcement and community involvement. Until we band together to fight blight we will have urban decay lowering our property values and demoralizing our district. ← Holiday Inn Express, North Hollywood.